Perhaps you are part of a big family, and are planning on taking a holiday. Or maybe you are looking to get away with a group of friends for golf breaks or just a relaxing holiday. Or it could be that for one reason or another you will be taking a lot of luggage. Or maybe you just want to be able to drive around with a bit of extra space in the car. Whatever your reason or need there are many advantages to hiring a 7 seater vehicle for your holiday. For one it will definitely offer the group plenty of space. And, there’s plenty of choice, we’ll go into that in a moment, but these days 7 seater vehicles (MPV’s), are comfortable, safe and fully equipped for the modern driver. Below we’ve put together 5 reasons why a 7 seater could be the right choice for you. Often we will go on holiday with a group or with family, friends, or perhaps we need to go away with others on business and usually people will tend to hire more than one vehicle, which, while having a few benefits, there are many more advantages to hiring a 7 seater vehicle while on a trip. The first and most obvious one is cost, not only will you save on hiring one car instead of two vehicles, the fuel cost will be half what you would have paid if you had used two vehicles for the trip. Another, benefit is parking. As we know in popular destinations it can be hard enough to try and find one parking space let alone two or even three, so if a 7 seater vehicle is rented for the trip the cost, and often frustration, of trying to find that parking space is reduced by half too! One of the best things about being with family or friends on holiday is being able to do things together. That’s part of the fun; looking forward to places on the way there and swapping stories amongst each other on the journey back or on the way to the next place. Whether you are a group made up of family or friends just looking to have some fun time on a break together or a group of golfers or cyclists heading out for dinner after a day of sport in the sunshine, it is always better together and quite often the journey can be the best part of the day! You can arrive at places together and leave at the same time, making things easier to plan and do. And, exploring anywhere, parking or even following a road and seeing where you end up means less worries about losing a following car! You’ll have plenty of space. There’s nothing worse than struggling to fit everything in your hire car when you are on holiday. Whether that is on trips to the beach, travelling with kids or maybe sports equipment? Whatever it is, we have all experienced those times of having to sit with bags or something on our lap for a journey! Even if you are travelling in a smaller group it can be a good choice to get a car with more than the required number of seats for your passenger. For example in a group of four or five it can often be much easier to get in and out and generally enjoy any trips in a 7 seater hire car. Being comfortable, for what could be a fair amount of time driving while on holiday, is important in helping to make your trip as enjoyable as possible. These days most vehicle manufacturers make a 7 seater car and there are often several choices of which make or model to rent while on holiday, (you can check Goldcar’s wide choice of vehicles on their web page at www.goldcar.es. 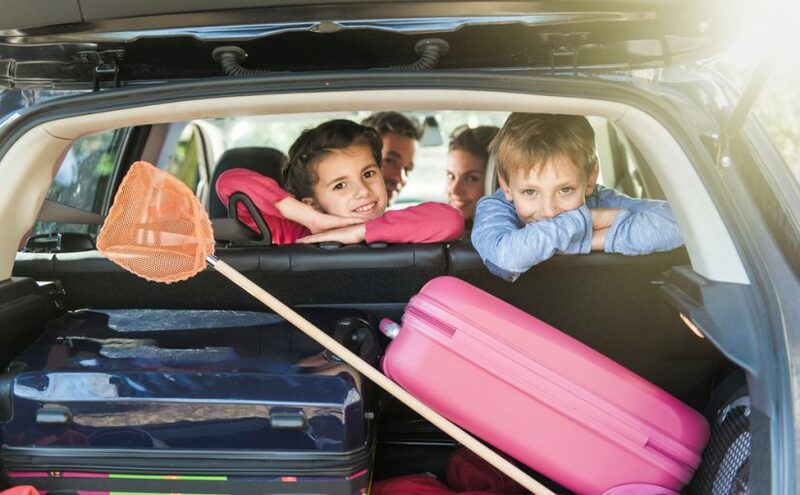 7 seat car hire on holiday means that you get a modern vehicle (less than one year old with Goldcar who renew their fleet of 50,000 vehicles annually). Along with choice comes good prices too and by dealing with a reputable car hire company such as Goldcar (market leaders in the tourist car hire industry) you know that you will get excellent service and competitive prices for your people carrier on holiday. With more than one driver in the group it’s possible to share the driving between them and allow everyone to enjoy the experience to the full. Many holiday vehicle hire companies allow several drivers (Goldcar make this very simple with their online booking system) which means that one person is not relied on to do all the driving whilst trying to enjoy a break! Many people enjoy the experience of driving abroad and want ‘their turn’ at driving on foreign roads and if you hire a 7 seater for your holiday you have that option of either sharing for pleasure or just for a well earned rest! There are many more benefits in hiring a 7 seater vehicle for your holiday, business trip or adventure such as getting around in what can be crowded cities or holiday resorts and above we’ve listed just a few. But it is definitely worth thinking long and hard about what vehicle is suitable for your trip, and also if getting something slightly bigger than we need for that all important comfort shouldn’t be ignored. Enjoy the break with friends, family or colleagues and do more together to make the most of your time away. When you are going to go on holidays with a big number of people, the best choice is a 7 seater car hire for yout trips. Here we tell you why.